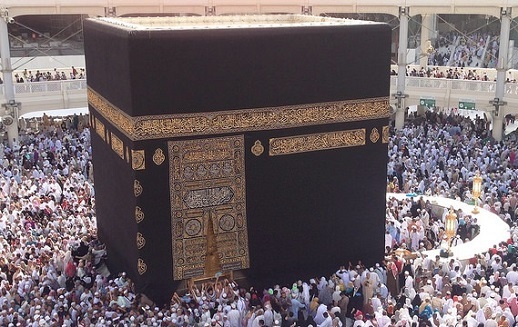 A 16-year-old Christian boy has been accused of committing blasphemy by “liking” and sharing a post on Facebook which “defamed and disrespected” the Kaaba in Mecca, the building at the centre of Islam’s most sacred mosque. Nabeel’s cousin, Imran, 24, told World Watch Monitor that Nabeel had nothing against Muslims and meant no harm. “It was only a mistake by him and he clearly stated that he did not intend to hurt but to condemn the post,” Imran said. He added that Nabeel is illiterate and works as a labourer in a nearby ghee factory. Pastor Samuel Masih, who was visiting his sisters in the village, said that, although everything seemed calm, “many of the Christians have left the area due to fear of security”. Phoolnagar Police Station head, Shahbaz Ahmed Dogar, reiterated that everything was under control and urged Christians to return. 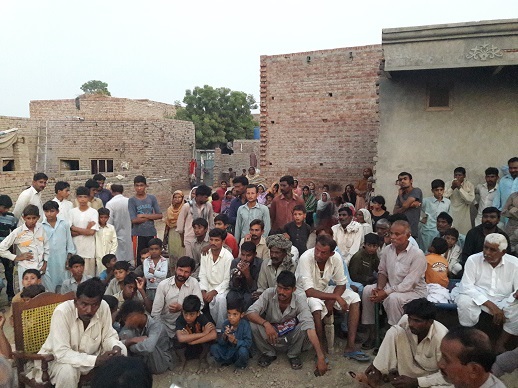 In several instances in the past, Christian neighbourhoods in Pakistan have been targeted following blasphemy allegations, resulting in the looting, ransacking and burning of Christian homes. In 2009, more than 100 Christian homes were ransacked and set on fire in Gojra, near Faisalabad, while in March 2013 another 150 Christian homes were set on fire in Lahore’s Joseph Colony. Meanwhile, a poor Christian neighbourhood in a remote village 20 miles south of Faisalabad came under attack after Muslim Friday prayers on 16 September. Five people were hospitalised, including two women who also faced public humiliation after their clothes were torn, but police said the injuries were not sufficient for the formal registration of a case. At least 20 men armed with sticks and firearms attacked the Christian neighbourhood – in the village of Chajwal, in the Samundri district. The incident took place only the day after the Punjab Minister for Human Rights and Minorities Affairs, Khalil Tahir Sandhu, told local media that “minorities in Pakistan are more secured (sic) than [in] other countries of the region”. Villager Razaq Masih, 55, lodged a formal complaint at the Samundri Saddar Police Station, in which he named six alleged attackers. He said that, at around 4pm on Friday, those six, alongside 30-35 others, came to the village, “yelling that today they would teach a lesson to these ‘chuhras‘* … [and] attacked the Christians”. Masih added that the assailants had stormed into the house of a Christian woman, Sharifan Bibi, “torn [her] clothes” and “while beating her, dragged her … out of the house”. Parveen Bibi said she was also beaten as she tried to protect her two sons – Shahbaz, 25, and Zahid, 23. Arif Masih, 55, who also works as a labourer, was returning home from a wedding when he was beaten. “I could not even understand why they were beating me,” Masih told World Watch Monitor at the hospital. Hundreds of Christians from the village gathered together on Sunday evening (18 Sep.) and resolved to seek justice. They told World Watch Monitor the attackers must have had support from local politicians, which is why the police had refused to officially register the case, and said they were fearful of further attacks. 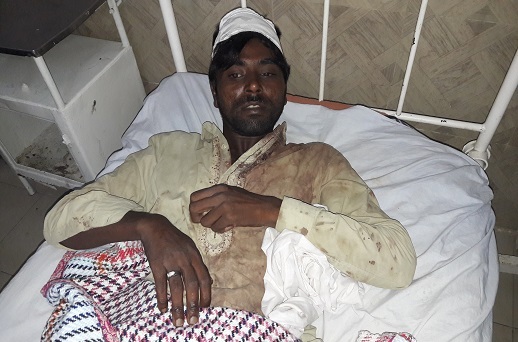 Razaq Masih told World Watch Monitor that he had been sitting with a Muslim man in front of some Christian homes, when some Gujjars, as well as people from the Julaha (weavers) caste, arrived and wanted to beat up the man. 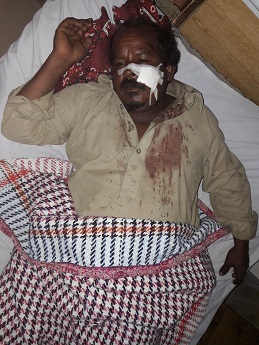 Rao Kashif, provincial parliamentarian for Pakistan Muslim League-Nawaz, told World Watch Monitor that he could not confirm whether or not the Christians were beaten up. “I regularly come to my office but how can I know if none of them has come to me?” he said. The Christians complained that since the incident no parliamentarian has yet raised their case. In the past, many incidents of violence against Christians have taken place, which have been seen as a precursor for later evicting them from the government land they live on. Christians continue to be regarded as lower-class citizens and are often forced to live in the less desirable parts of an area, such as close to sewerage-filled ponds. This attitude towards them is reinforced from schooldays onwards. A recent report by Pakistan’s National Commission for Justice and Peace (NCJP) says the government has failed to keep its promise to eradicate religious “hate material”, including against minority Christians, from textbooks used in schools. After the attack on the Army Public School in Peshawar in Dec. 2014, the government introduced a 20-point National Action Plan to discourage religious extremism and to provide a counter-narrative to promote religious harmony, saying an “end to religious extremism and [the] protection of minorities will be ensured”. However, the NCJP report, “Freedom from Suffocating Education”, claims that no curriculum reforms have so far been adopted at the school level, aside from the production of a few booklets. The NCJP report, which focused on textbooks used in the 2015-16 school year, noted that “hate material” previously identified had not been removed from the curriculum yet. * “Difficult to translate, the word connotes dark skin, low social status and un-touchability” (Pakistan Herald, Sep. 2016) – the term “chuhra” (“dirty”/”filthy”) is considered by some Pakistanis as almost synonymous with “Christian”. It’s linked with “bhangi” and “jamadar” (sweepers or sanitary workers), the lowest-caste occupations still overwhelmingly populated by Christians.